2018 Elected IEEE Fellow and AAAS Fellow. 2016 ACM/SIGAI Autonomous Agents Research Award. 2014 Named to UT Austin Academy of Distinguished Teachers. 2013 Awarded UT System Regents' Outstanding Teaching Award. 2012 Promoted to Full Professor. • Won two RoboCup championships (Standard platform league and 3D simulation league). 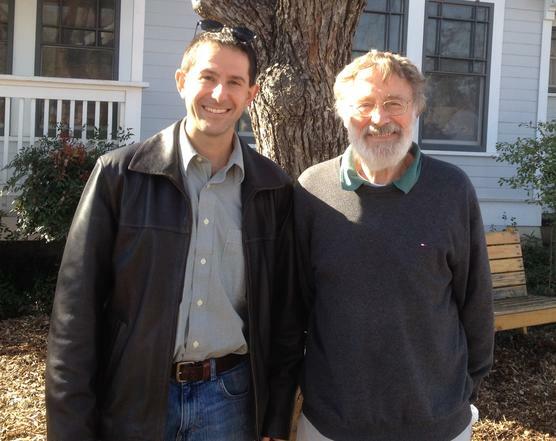 2011 10th Ph.D. student and first academic grandchild both graduated. 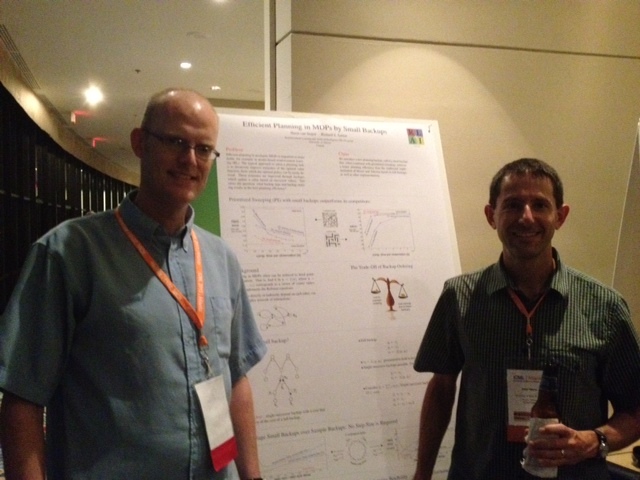 • Here's a picture of me with Harm van Seijen taken at ICML 2013. 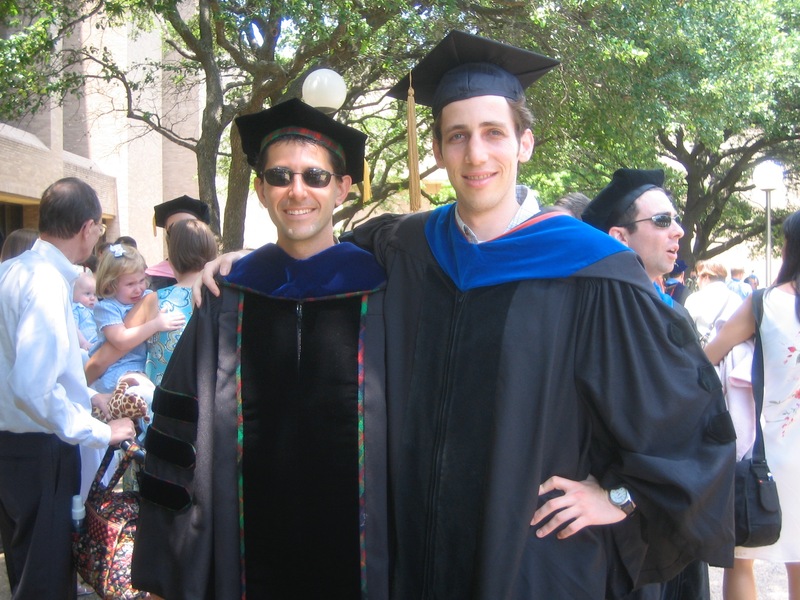 • Harm was Shimon Whiteson's first graduate (picture from Shimon's graduation in 2007). 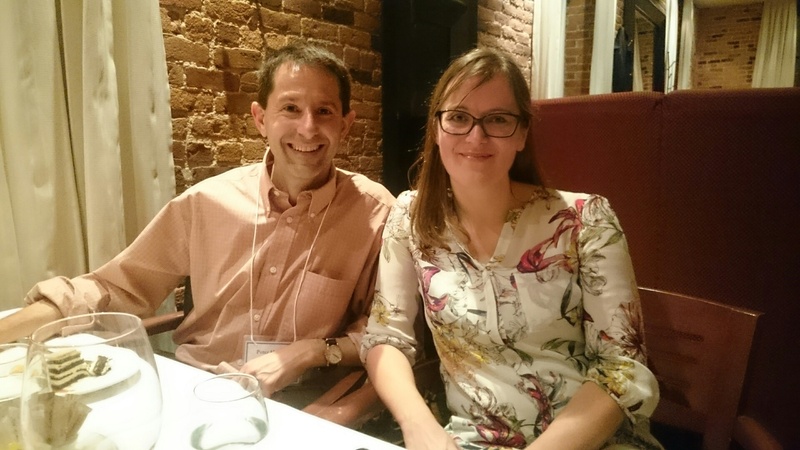 • Me with Katja Hofmann, another of Shimon's students, taken at NIPS 2015. 2008 Visiting Professor at Hebrew University and Bar-Ilan University in Israel with support of the Fulbright and Guggenheim foundations. 2007 Promoted to Associate Professor with tenure. • IJCAI Computers and Thought Award. 2002 Hired as Assistant Professor of Computer Science at The University of Texas at Austin. 2000 Won the first Trading Agent Competition. 1999-2002 Senior Researcher in the Artificial Intelligence Principles Research Department at AT&T Labs - Research. 1998 Graduated in 1998 with a Ph.D. in CS from CMU. My advisor was Manuela Veloso. • Her advisor was Jaime Carbonell, whose advisor was Roger Schank. 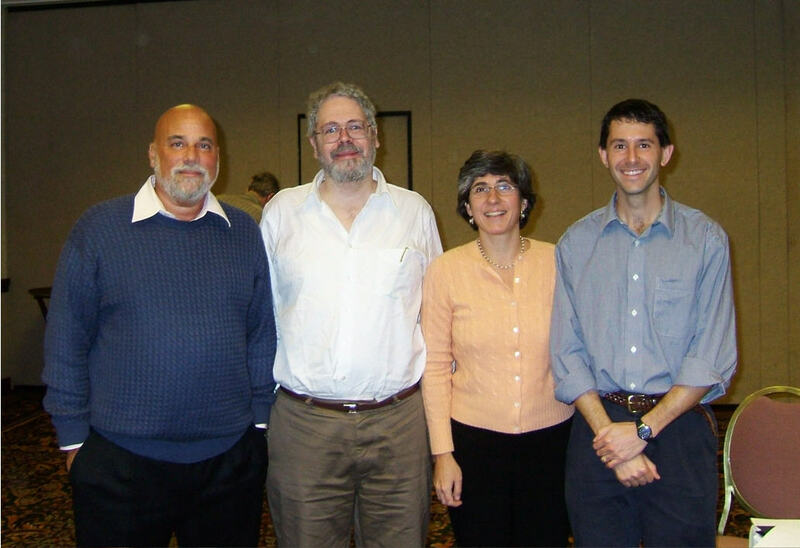 • Here's a picture of all four of us taken by Ed Feigenbaum at a DARPA workshop in January 2005. • Roger's advisor was Jacob Mey. Here's a picture of me with Jacob taken by Ray Mooney. • For eight more generations of academic lineage see Ray Mooney's genealogy page. • In 2017, we collected a tree of Manuela's academic descendants. It was given to her at her 60th birthday party that September. • My Ph.D. thesis is entitled "Layered Learning in Multi-Agent Systems". It was published as a book by MIT Press. • While at CMU, I played violin with the CMU philharmonic in concerts at the Kennedy Center, Boston's Symphony Hall, and New York's Carnegie Hall. • Here's my short musical bio. 1997 Won the first RoboCup championship (small-size league). 1995 Designed my old homepage in collaboration with my friend Astro Teller. 1993 Graduated from The University of Chicago with a BS in math. I played on the Men's Soccer team for 4 years. 1989 Graduated as valedictorian from Amherst Central High School near Buffalo, NY. • co-Captain of the varsity soccer team. • performed violin on several international concert tours with the Buffalo Suzuki Strings including as soloist in Russia and Hungary in 1989. 1971 Born in Buffalo, NY to Rala and Russell Stone.